Hello, I'm Gabe Mukobi! 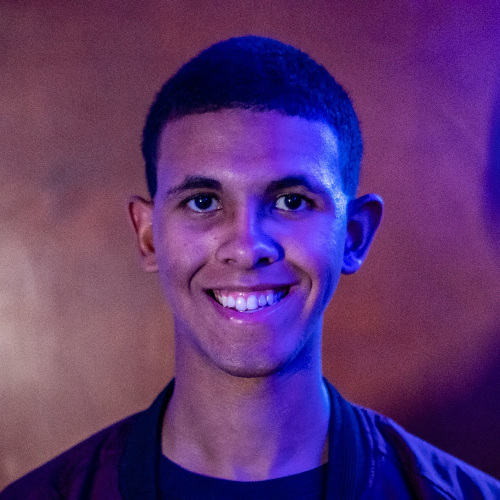 I am a software and web developer always looking to hone my skills; a musician who plays guitar, trumpet, French horn, bass, and keys; a teacher of guitar, ukulele, piano, and music theory; an active volunteer seeking to make a difference; and a student at Stanford University. I am committed to doing things the correct, efficient, and elegant way. 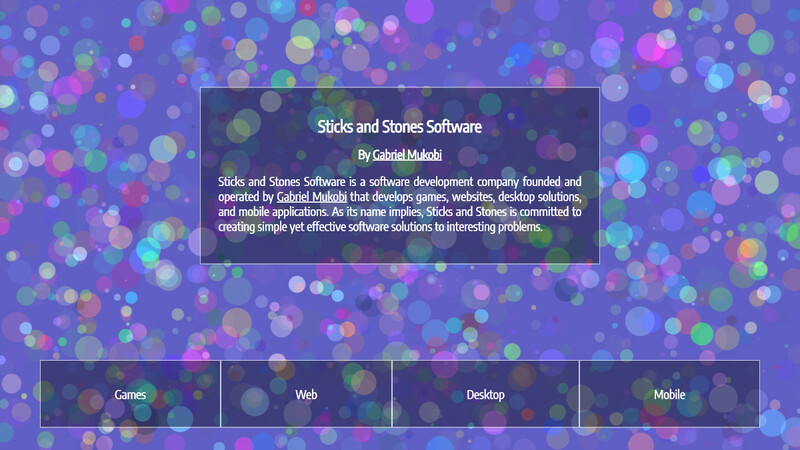 Sticks and Stones Software is a software development company founded and run by me. Come to see all of the websites, mobile apps, desktop solutions, and web projects I create! A website for anything regarding the musical side of me. Here, you can find information about my music (including my first solo album, Anywhere But Here), my career and groups I've played with, lessons with me, and more. Participated in an online program run by the Google Student Development team and powered by Coursera, including taking an online class in “Java Programming: Principles of Software Design”, technical interview prep, and collaboration with other incoming Computer Science students. I attended Camas High School in Camas, WA, from 2014-2018 and graduated in the Class of 2018 with a cumulative unweighted grade point average of 4.0. During high school, I was a member of the Camas High School Math Science Technology Magnet Program, a selective-admissions independent-research-based program focused on exploring math, science, and technology. I conducted research projects to try to find solutions to a diverse set of real-world problems ranging from water purity to carbon dioxide sequestration. I competed with these projects in science competitions like the Washington State Science and Engineering Fair and Imagine Tomorrow. I am also an avid musician. I enjoy and participate in all aspects of the musical world, including playing and practicing multiple instruments, singing, songwriting, recording music, mixing and mastering songs, listening to music, and performing live for others’ listening enjoyment. Anywhere But Here - solo album released June 2018. Written, recorded, mixed, mastered alone. Free download available and available on all major digital music platforms. Guitar - Played electric and acoustic guitar since 2009 and in the Stanford Jazz Combo program 2018-2019, Simply 8 2016-2018, and the Camas High School Jazz One band 2016-2018. Trumpet - Played trumpet since 2012 and in the Stanford Jazz Orchestra 2018-2019. French horn - Played the french horn since 2012 and in the Camas High School Marching Band, Symphonic Band, Brass Choir, and Wind Ensemble 2014-2018. Other Instruments - Also plays and records keyboards, and electric bass. Music Lessons - Has taught lessons for guitar, piano, ukulele, and music theory to a diverse range of students since 2016. Worked as an unpaid intern at the physics lab of Ralf Widenhorn at Portland State University, contributing over 500 hours developing a new high accuracy localized positioning and motion capturing device called Pozyx and implementing it as a learning tool for hands-on college-level physics courses, as an advanced position and motion data collection device for professional athletes, and as a solution for other high precision applications. Scripting and data collection written in Python, GUI in Java with JavaFX. Joined fellow Stanford students in packaging over 60,000 meals to be shipped to schools and families in developing countries. Volunteered at this basketball camp over the summer teaching children the basics of basketball and helping them have fun. Worked for Camas High School Basketball under Skyler Gillispie and Ryan Josephson. To contact me, please use one of the following methods. I love the extra attention and will try to get back to you as soon as possible! 2018-10-13: Updated almost all of the content and moved to a 3D design with shadows. 2018-03-30: Redesigned the color scheme with gradients. 2017-09-21: Added a new portrait and updated some information on the page. 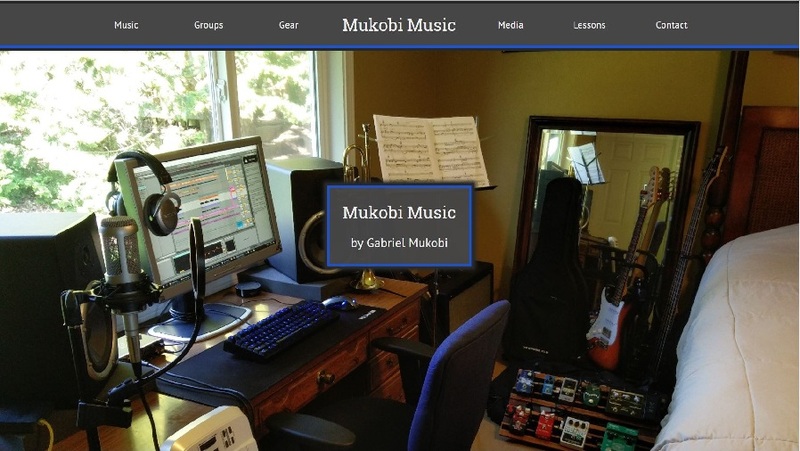 2017-09-09: Revised the portfolio to show Gabe's new softare and music portfolio websites. 2017-06-10: Added a new and more recent profile picture. 2017-06-07: Updated the resume and separated the curriculum vitae (which has grown quite long) into its own section. 2017-05-28: Updated the curriculum vitae and added information about Gabe's music. 2017-03-31: Added some new font designs. 2017-02-14: Added the start of a curriculum vitae. More is to written and pictures are to be added very soon! This website was designed and built from scratch with love and extra honey by Gabriel Mukobi. It is constantly being updated with new information, improved design, and an overall more amiable and pleasant user experience, so be sure to check back soon. View the GitHub repository here. Hope you enjoy! Copyright © 2016 Gabriel Mukobi. All Rights Reserved.